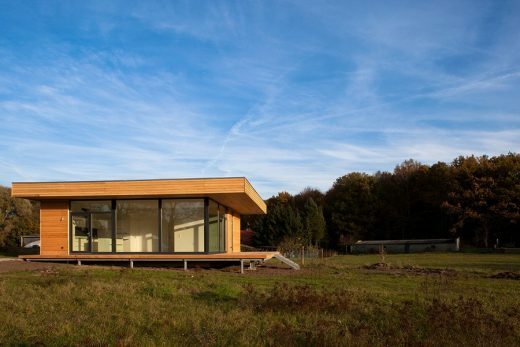 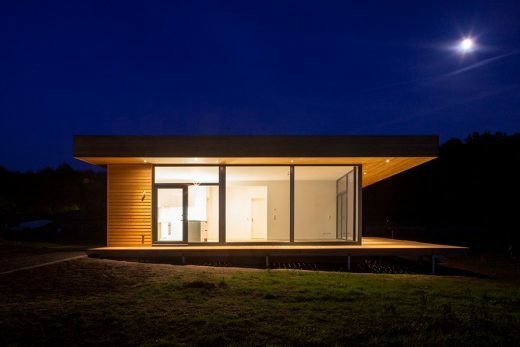 This is a new house in Brandenburg. 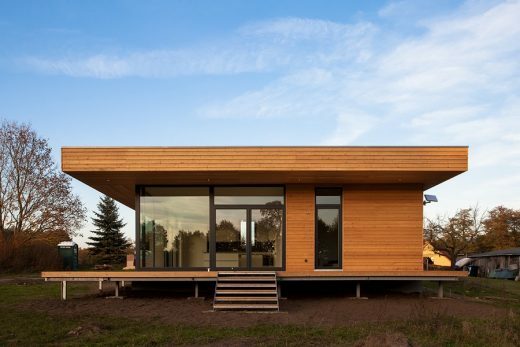 House W is a detached dacha for a German-Russian family of musicians. 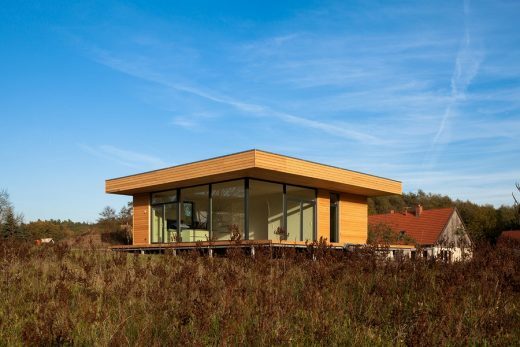 Located 75 km north of Berlin in the beautiful countryside of Brandenburg, it is surrounded by lakes and forests. 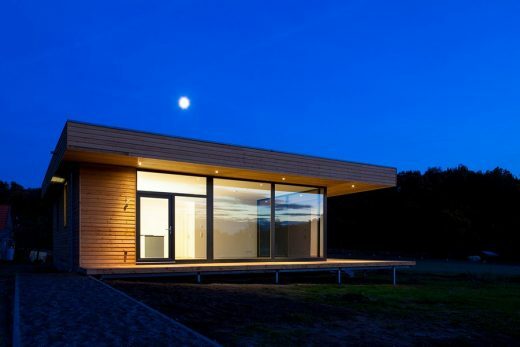 On a large 6,500 m2 site, a one storey wooden cabin has been constructed with a spacious living, dining and kitchen area. 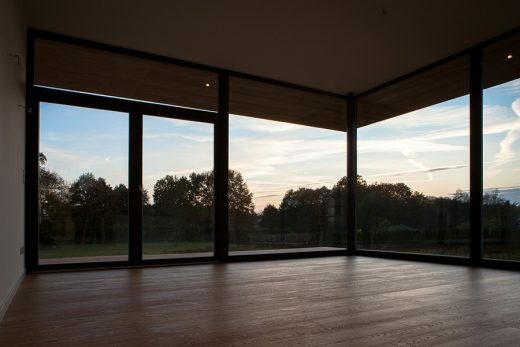 Connected to the imposing outside landscape, large window areas open the building up to the wooden porch and the natural garden. 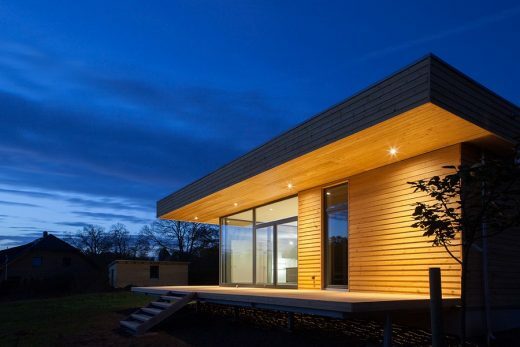 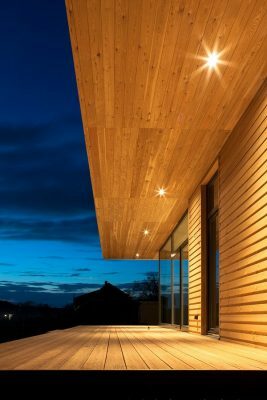 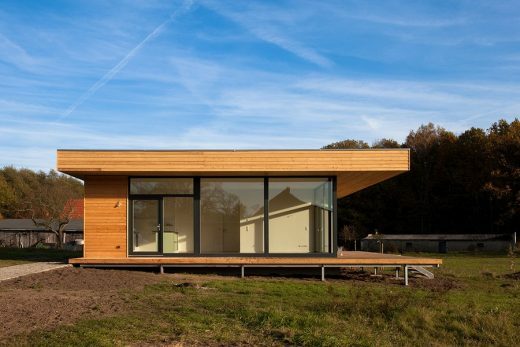 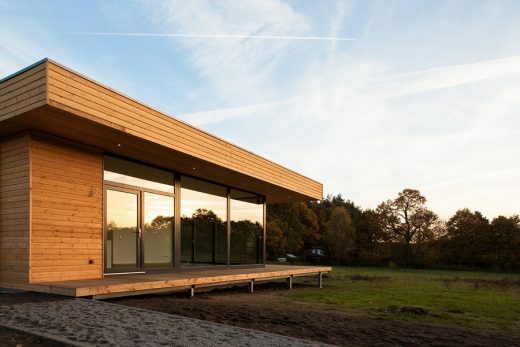 The low-cost, wooden construction and the silver-turning larch cladding have been chosen to emphasize renewable primary products and to mingle with natural surroundings.